Hide offers a variety of private dining spaces accommodating from 4 up to 20 guests. Please contact our reservations team for more information on reservations@hide.co.uk or call 0203 146 8666. 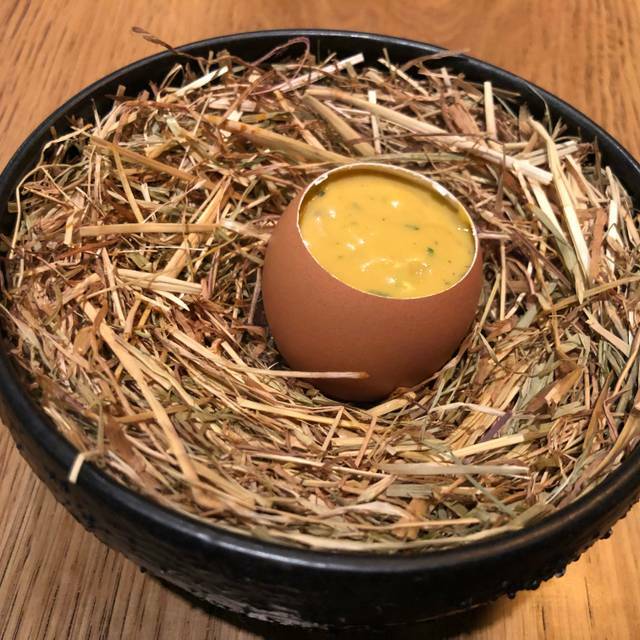 Hide is a Michelin starred restaurant and bar by Hedonism Wines and Ollie Dabbous. 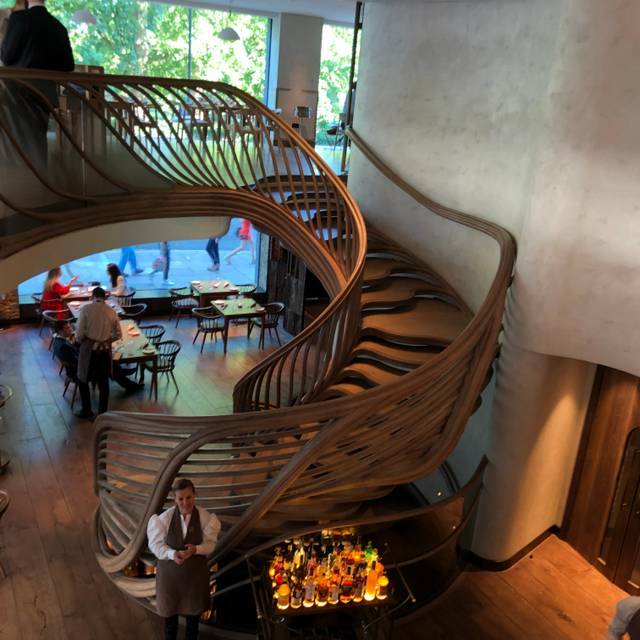 Set over three floors, flooded with natural daylight and enjoying views across Green Park, Hide offers you the very best food and drink in a refined but relaxed setting. Open every day for lunch and dinner, we serve a set lunch menu at lunch only and tasting menu for lunch and dinner. Any bottle available in the Hedonism Wines may be reserved and delivered to the restaurant for you to enjoy alongside your meal. A large selection of accessibly priced bottles and wines by the glass will also be on offer. Hide is for everyone and every occasion: whether a light dinner after work or a grand celebration in one of our private dining rooms. An independent restaurant created by passionate individuals who love what they do, we look forward to welcoming you soon. For a few months I have been looking for an occasion to go to Hide and I was not disappointed when I visited for my wife's birthday. We enjoyed the food and our view overlooking the park was fantastic. Superb & classy restaurant, top notch food, awesome combinations worth every Penny. Special mention for the sommelier! One minor point and a threat for the whole UK restaurant business is the appliance of the USA-thing: the service charge... please get rid of it. Another wonderful meal! Faultless service, food and presentation. Just love the veg selection, the bread melts in your mouth. The cod was soft, full of flavour and presented beautifully. Can’t wait for my next meal here! 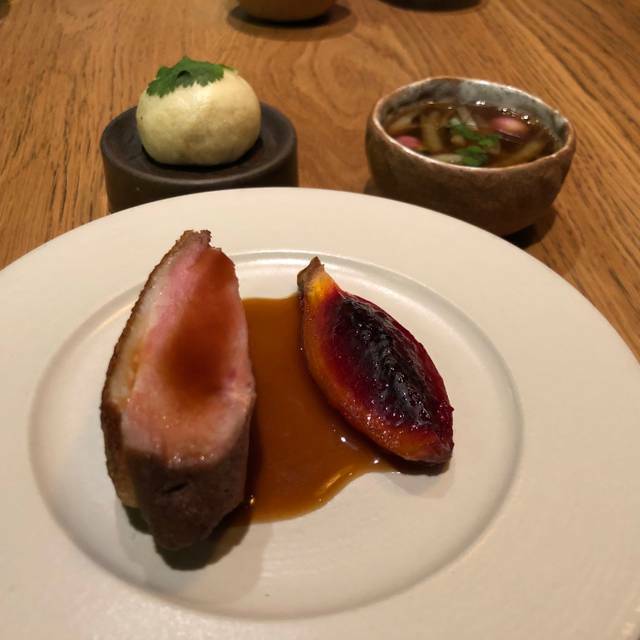 The inventiveness, freshness, and lightness of the dishes (although packed with wonderful flavours) and the presentation was absolutely outstanding. This was one of the most enjoyable lunches we have had in London in the past year. Everything was delicious, exceeded our expectations. It was a great experience and not the first time I visited Hide Above. This time I even had a TV star I know sitting at the table nearby which was just emphasizing the luxurious experience you get to experience. Absolutely lovely, helpful and attentive staff who really understood our needs and the food. The food was beautifully presented and delicious. The large windows overlooking green park fill the restaurant with light making it the perfect place for lunch! Hide is a beautiful restaurant in a glorious setting! Staff were very welcoming and are a well oiled machine. The food came too quickly though and plates were being cleared before both the diners had finished and next courses arriving before we’d finished the last. Food was also brought when one diner was in the toilet. Presentation of food was outstanding but did lack a little in flavour. However, whilst really nice and well cooked there were no ‘wow’ dishes aside from the sorbet palate cleanser before desert! I would come again but wouldn’t spend the money on the tasting menu. Good food, good service, good ambiance and a view of St. James’ Park all make for a lovely lunch! Would happily go again. We went for the tasting menu. We felt that the courses were a bit rushed even after our server saying they would hold a course so we didn’t feel rushed. We went for the classic wine pairings which went well with the food however wouldn’t be a choice to drink on their own without the food. The later dishes on the menu where by far better than the initial dishes. All in all we had an enjoyable meal but definitely not our best and given the price we would’ve hoped for more. 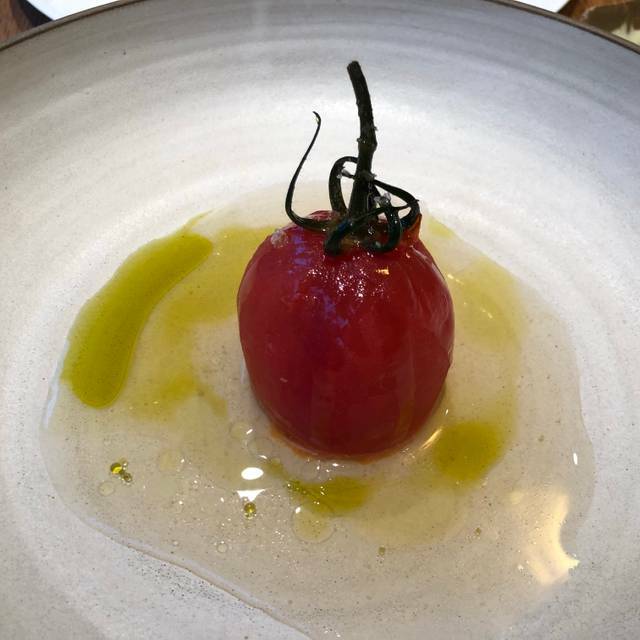 One of the best dinners we've ever had: freshest seasonal ingredients, helpful and friendly service with a great sense of humour, really pleasant venue overlooking Green Park. We'll definitely be back! A thoroughly enjoyable lunch, great service, attention to detail and memorable food. 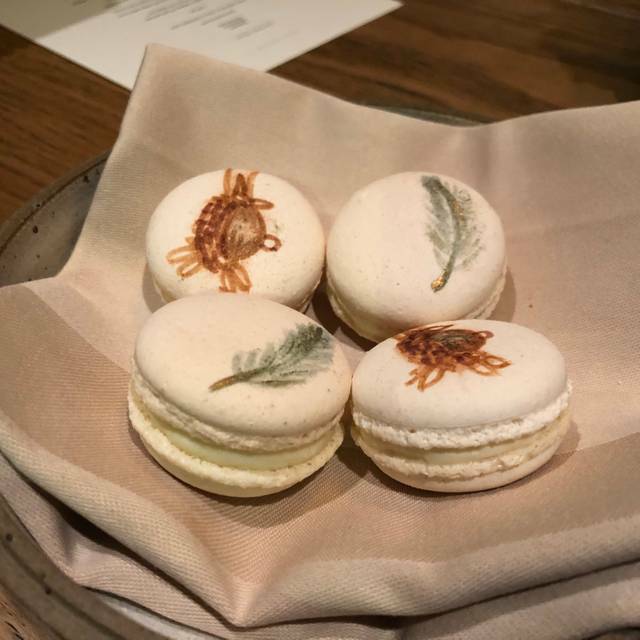 Did the tasting menu at Hide Above, and found it underwhelming considering its reputation & price. 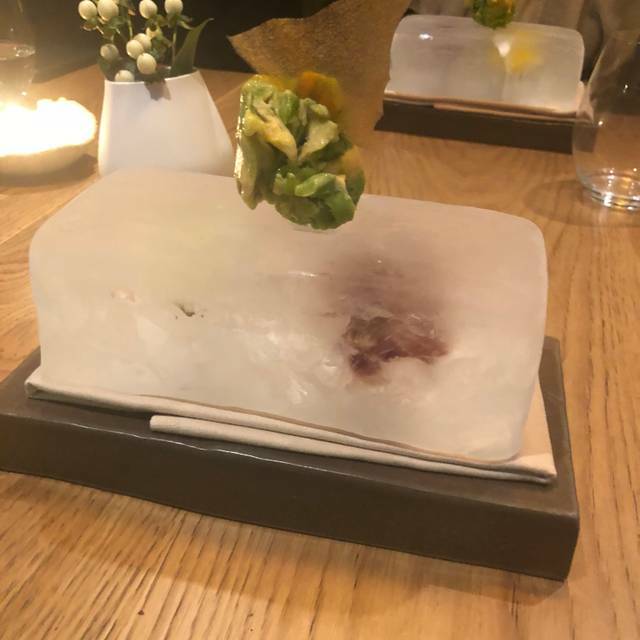 While the dishes were artistically presented, the taste did not match up, and we found the choice of ingredients slightly incoherent, which in turn caused the entire dining experience to feel rather pretentious. We enjoyed the bread, signature egg dish and dessert the most. It was amazing. 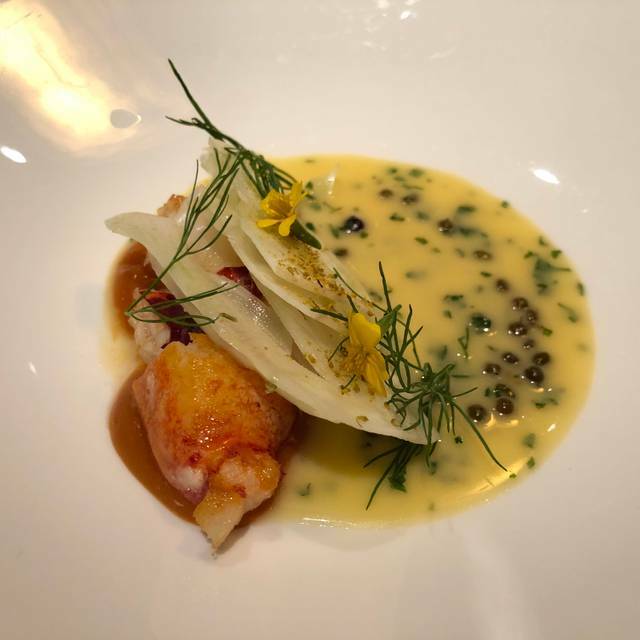 Highly recommend 👍 it was my second time at Michelin restaurant and I’m totally happy. Lucas and his team gave us exceptional food and the service was spot on. We’ll be back! Good food, good service and lovely ambiance. The only menu is tasting which has a wide variety to choose from meat to fish. Each dish was presented and cooked well. The only downside is that I feel a bit rush between each course. We were off to a great start when the waiter offered Pol Roger Sir Winston Churchill 2008 as one of the champagnes by the glass choices. Then came the food and the wine. Loads of great and interesting dishes – can’t really single any one out. The wine pairings where spot on as well. One minor issue; all the waiters left at the same time. Guess the shift ended. Wonderful experience. We had front row seats to the Brexit People's March! Incredible food and warm service. We absolutely loved it. Excellent, excellent, excellent. People march outside, so difficult to make our way there. However it was well worth the struggle. Superb tasting menu. We had lunch to celebrate my husband’s birthday. Unfortunately I wasn’t feeling well and so we opted for the set menu rather than the tasting menu. The set menu was delicious but my husband was so disappointed to miss out that we have rebooked in order to try the tasting menu as well!! 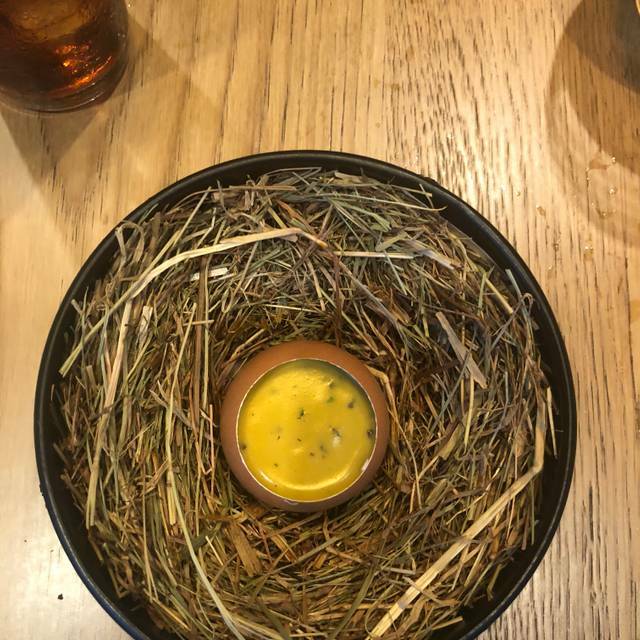 HIDE is a true dining experience. Exquisitely prepared and plated, each course is a feast for both eyes and palate. Our sommelier perfectly described each pairing and how the wine played with the cuisine. We were celebrating a birthday and several staff members made a point to stop at our table and offer happy wishes. Thank you for a memorable evening. Mixed. Front desk service early evening a little scattergun. Below bar staff excellent - very personable and competent. Wait staff and Sommelier similarly so. Food had some real highs (Nest Egg; scallops) but some very ‘meh’ dishes (turnips; shaved Waygu). Was at Story two weeks ago and execution there is at a higher level. Don’t doubt Hide can get there - Ollie knows what he’s doing - but it’s got some way to go yet. A great experience. Very creative menu, lots of effort to make everything perfect for us, which was appreciated. The meal was presented with a nice bit of theatre - tasty, but some dishes were on the bland side. The wine database on an iPad is gimmicky, and needs better filters and indexing. Or better still, use a printed version. Aperitif prices should be communicated beforehand. Cheese selection also needs more oomph - alot of safe, bland choices (especially the chevre). I took my husband to Hide Above to celebrate his birthday and we were very impressed. The venue is gorgeous - light and airy with fantastic views of Green Park. There was a pleasant bustle about the place, whilst still remaining quite tranquil. 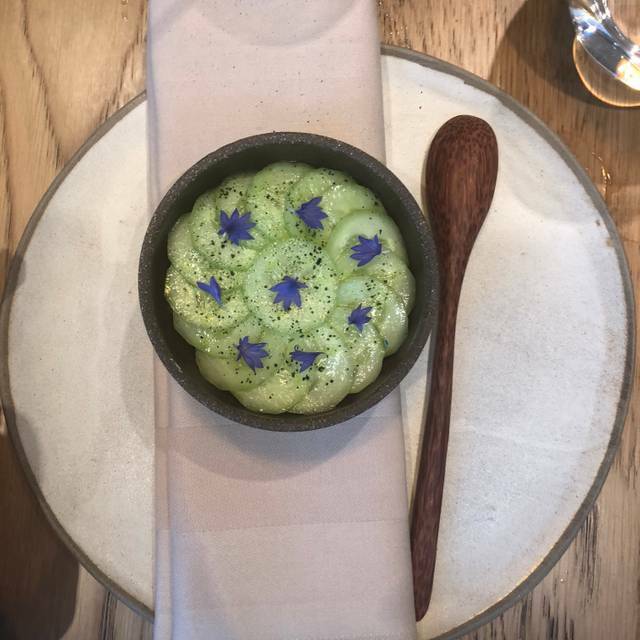 And the food and service was everything you would expect from a Michelin starred restaurant. We would definitely recommend for a special occasion and would love to go back. Classy place, rather expensive, but elegant and modern, warm decoration - we have enjoyed it a lot. Good cuisine, original design of the plates, perfect wine cart: we took Nuit Saint-Georges 2014 by glass- it was perfect. And excellent service. Very nice food but service could have been better. Had my birthday here, 4 people, all going for the tasting menu +wine. Amazing experience overall, the service was great, the food creative and tasted superb.